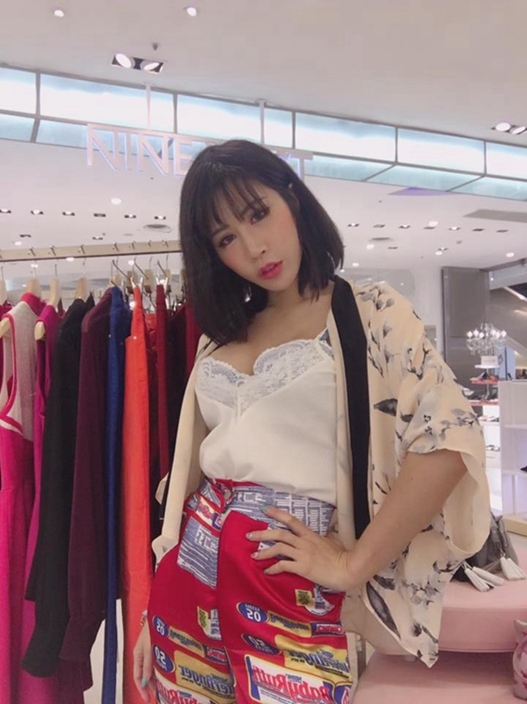 Taiwanese F-cup female model, Xin Youli recently shot a 46 seconds video in Hong Kong downtown, which was called "The real vision from a boyfriend" by neitizens. The man who shot the video was waving XinYouli to come closer to the cam. And she was tempting the man to touch her breasts. The short film consists of four scenes, each of which has videographer waving Xin to get in front of the camera at first. Xin wore an ultra-low-cut shirt, showing off her her F-cup breasts. She let the videographer rub his chest and smiled sweetly in front of the cam. As can be seen from the short film, the location of the filming was Hong Kong, and it was also photographed in public places of buses, subways, and pedestrian tunnels. In the final segment of the film, the man lifted Xin Youli's top clothes revealing her black underwear and rubbed her breasts again, completely ignoring other people in public places. 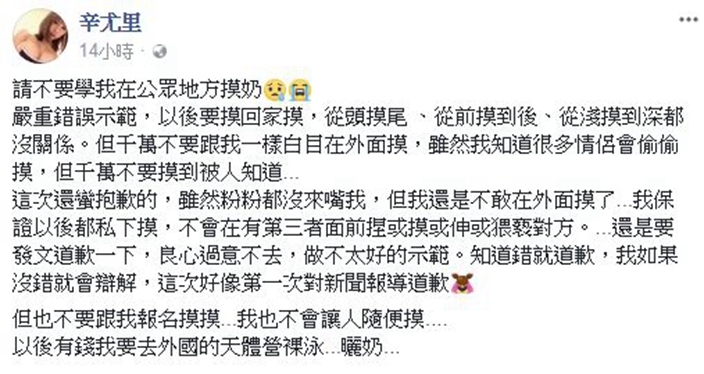 After the short film attracted attention and criticism, Xin Youli apologized on the social platform and pointed out that she has demonstrated wrongly, and she feels terribly sorry. She advised everyone: "please don't learn from me to rub breasts in public places."